Here at Rocky Top Sports World, we are witnessing firsthand one of the nation’s fastest-growing travel trends: the tourna-cation. Families from all across America are increasingly combining their vacations with their children’s travel sports events. 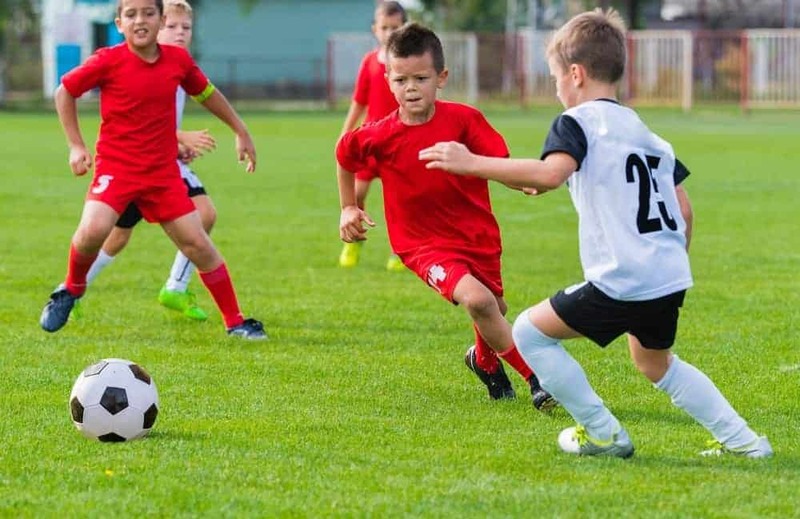 The rise of these so-called tourna-cations has made youth sports tourism a $9 billion industry! This exciting new trend was recently profiled on the popular HBO television show Real Sports with Bryant Gumbel. In the episode, the Real Sports team interviews Dev Pathik of Sports Facilities Management, the firm that manages Rocky Top Sports World. Pathik told Real Sports that “last year, sports tourism grew by 20% over the year prior…it’s an incredible transformation, with massive ripple effects in the rest of our society”. This ripple effect can be felt in many towns where youth sports travel has become a major boon to the local economy. Right here in Gatlinburg, Rocky Top Sports World delivered a $35 million economic impact to Sevier County during our 2016-17 season. Over 42,000 athletes came to our sports campus last year, which resulted in 53,000 room nights booked at area lodging providers and thousands of food and attraction purchases in town. Indeed, Gatlinburg is a destination that was tailormade to benefit from the tourna-cation boom. Located at the doorstep of the Great Smoky Mountains National Park, our scenic city attracts over 11 million annual visitors. Additionally, Gatlinburg is right next door to Pigeon Forge, which is home to the world-famous Dollywood theme park. Co-owned by legendary country singer Dolly Parton, this amazing park is the largest ticketed attraction in the state of Tennessee. Because Gatlinburg is already one of America’s most popular vacation spots, planning a getaway in the Smokies that coincides with a tournament at Rocky Top Sports World just makes sense. Rocky Top Sports World even partners with local hotels and vacation rental companies to provide affordable lodging for our athletes and their families. The rise of the tourna-cation as a national phenomenon is of course intertwined with the growth of the travel sports industry as a whole. According to Time magazine, the American youth sports economy has become a $15.3 billion market. WinterGreen Research, a firm that monitors youth sports, found that the industry has grown by 55% since 2010. Time notes that travel sports can provide incredible opportunities for the best young players, including “an unprecedented level of coaching and training.” The article also mentioned that travel sports can “bring people of different backgrounds together in a way that local leagues by definition do not”. As the youth sports travel industry continues to grow, everyone here at Rocky Top Sports World can’t wait to welcome even more families to our sports campus! Our $20 million athletic complex is located minutes away from all of the incredible attractions, shops, and restaurants in downtown Gatlinburg. Featuring seven fields, six basketball courts, 12 volleyball courts, team rooms, and an onsite grill, our campus has everything you need for an unforgettable sports event. To see all of the upcoming tournaments at Rocky Top Sports World, visit our Events page! This entry was posted in Trends in Youth Sports on November 1, 2017 by rockytopsports.